I picked up a pair of these very nice Pulstar wheels off a fellow RB'er. 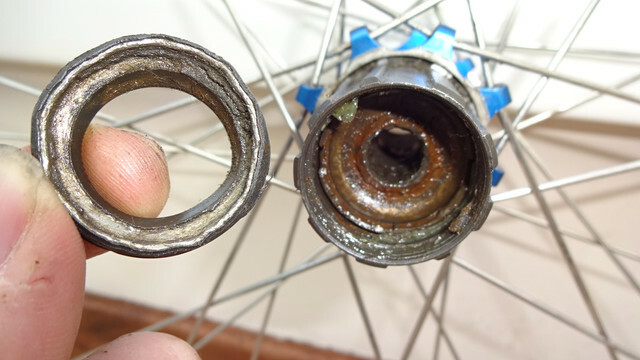 The rear hub was a little crunchy so I thought perhaps over tightened cones. Upon a little further inspection it turns out the bearing seal to the drive side is a starfish as opposed to a nice smooth round surface! At best I can source a part to get them back up and running but only in 7 Speed mode which isn't any use so I think I might have to move them on - there was an issue with 8 speed hubs rubbing the actual hub body and in the top image you can see where this has occured with even a 7 speed cassette. I've read the Bikepedia entry and searched the RB archive etc so know the limitations/previous issues. It seems strange too that such a cool hub has such a crappy heavy axle and cones/nuts...? What's the deal - do I replace the part and sell these on or can I redeem something for the build? Can you not just fit a Shimano 8sp cassette body ????? I wish. 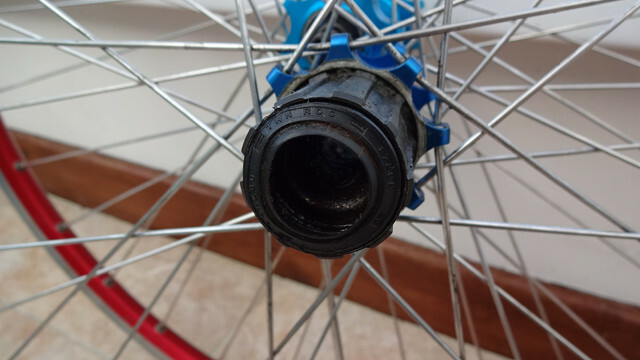 They were non shimano compatible and I think the free hub is actually glued in to the hub I don't think there is a simple answer outside of '7 speed only'... But I do need a spare hub/bearing race to fix it and sell it on. Nice wheels but dubious design. Not like this freehub is it? Hmmmm, not sure - I sincerely think the freehub cannot be removed without destroying the hub so I'm guessing no... Although it does suggest in the above description that they can be removed - I must go investigate!